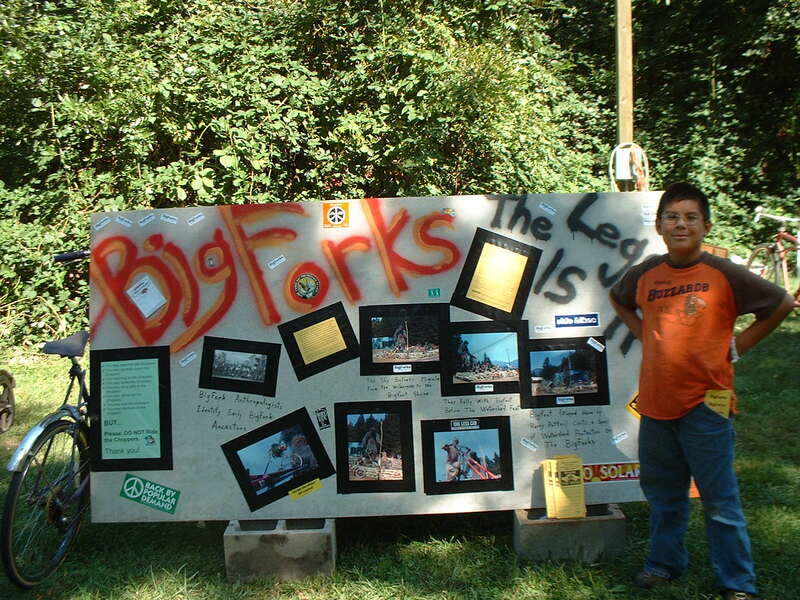 Welcome to the Secret Lair of BigForks! This ain't no rescue ranch for hippie poseurs, undammit. Jonathan Livingston Seagull - one of our favorite novels by Richard Bach. The Great Jade Emperor - a brief description of Taoist cultural beliefs. The Emperor's New Clothes - adaptation of by Hans Christian Andersen's classic folktale. Live Outside the Box - species that don't evolve, go extinct...will YOU survive? The Lorax - Speaks for the trees: see it for free. Hallelujah! - The savior has been named: try not to snicker as you cruise through this commentary. We're Past Peak Oil - Think outside the box, or enjoy your cage. The Golden Fish -This timeless Russian folktake goes by many names, such as Fisherman And Little Fish. UUUU -What does it mean, soldier? 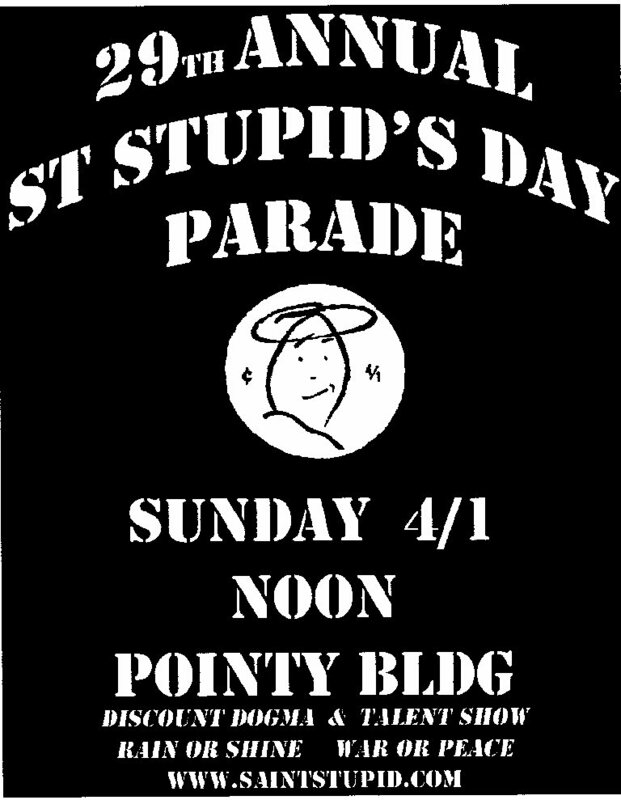 And just when IS Saint Smokey's Day, anyway? 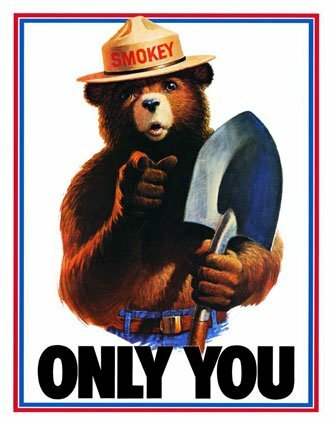 Poster bear from an era when the forest service actually cared about trees, and not just tree farms. 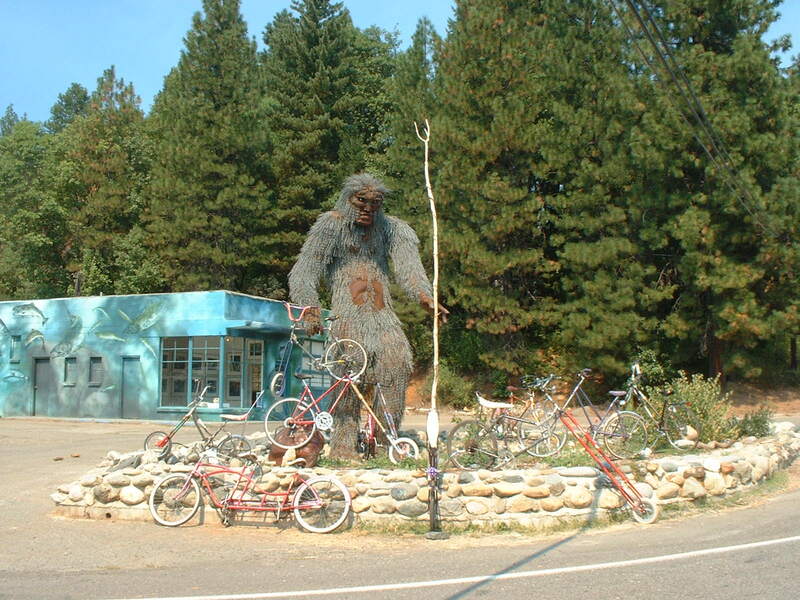 Wild Klamath Mountain Choppers...the choppers trees Love. 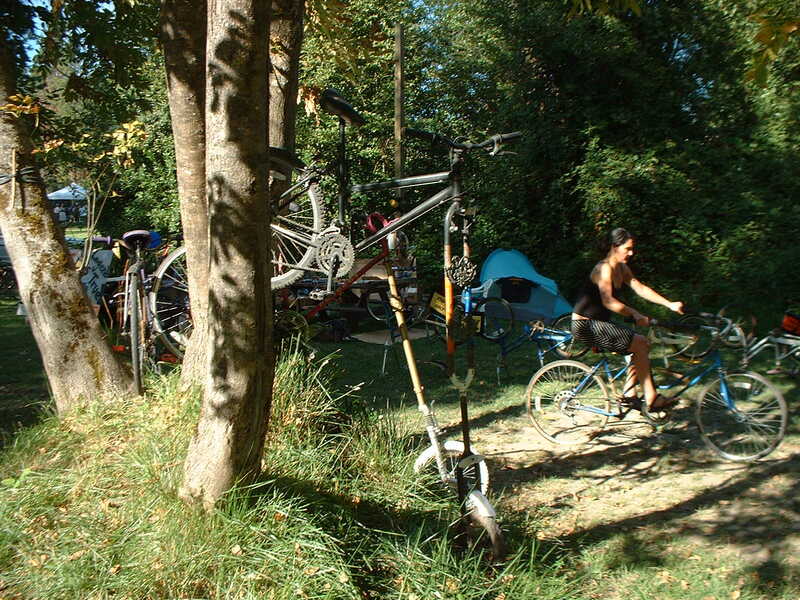 Fun at the 2006 Klamath River Watershed Festival. featuring one of our expert bicycle technicians.